This fresh, summery strawberry drink is basically an agua fresca. It’s super simple to make, and you can adjust the sweetness to suit your tastes. OK, it’s time for some real talk about food blogging, you guys. 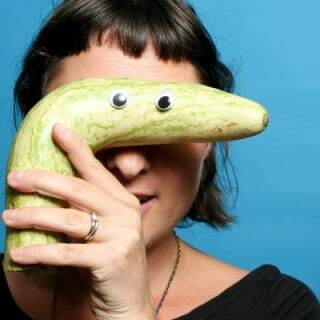 Sometimes, a picture isn’t what it seems. 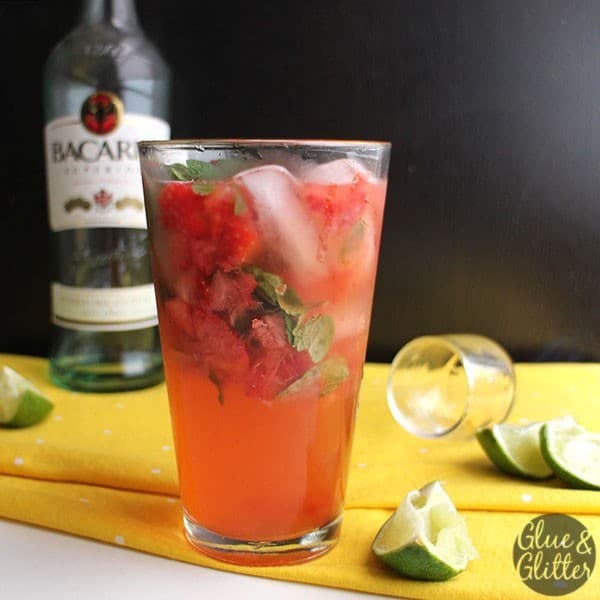 Remember that pretty, vibrant, agave strawberry mojito from last week? The one in the photograph doesn’t actually have any booze in it, despite what the picture implies. I take my food photos mid-morning on weekdays, which isn’t the ideal time to drink something with two ounces of rum in it, so the strawberry drink in the photo looks like the recipe I tested and tweaked, but instead of two ounces of light rum, I used two ounces of water. Food Blogger Secret: There is no rum in that glass. After taking the photos, I sipped on this drink for a bit, and then my Pick Up Darrol At School alarm went off, so I left it on the kitchen counter. When we got home, he sidled up to the counter for a snack and begged for a sip of “mommy’s strawberry drink.” I obliged, and now he’s obsessed. 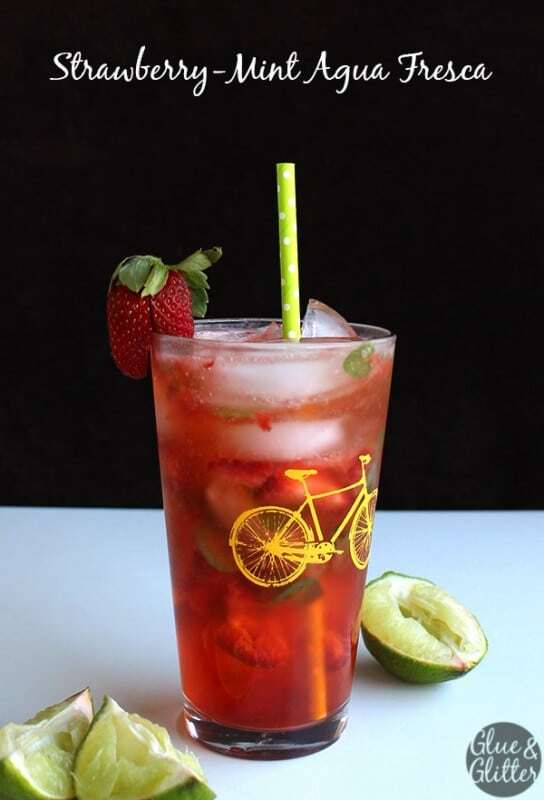 You can make Darrol’s Special Strawberry Drink – which is basically a mint and strawberry agua fresca – with or without the agave nectar. I have been making it for him without the added sugar, and he likes it just fine. If you’re used to more sugary drinks, you might like that little extra touch of sweetness, though. Totally your call! 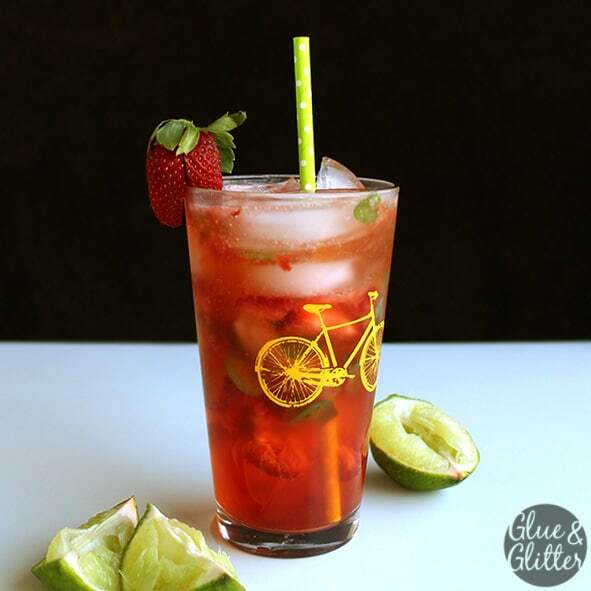 In the bottom of a pint glass, muddle the water, strawberries, lime juice, mint leaves, and optional agave nectar together. Make sure the agave is really well-incorporated. Top the glass off with ice, then with sparkling water. Garnish with a strawberry, and serve.